Photo by Sweet Ice Cream Photography on Unsplash. 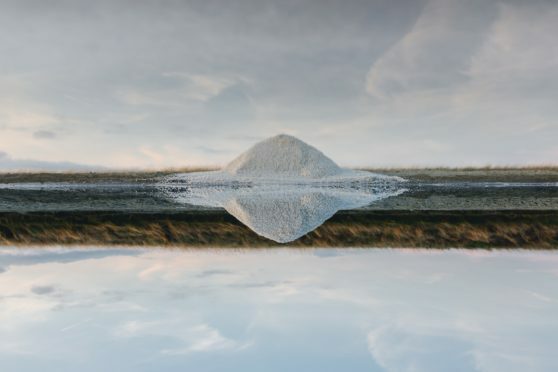 Vattenfall claim the project could develop a “salt battery”, able to story up to ten times more energy and for much longer periods of time than its water-based equivalent. The technology, developed by Swedish firm SaltX Technology, is based on nano-coated salt. The new technology enables the “salt battery” to be charged several thousand times and that the energy can be stored for weeks or months without losses. The project is part of Vattenfalls plan to phase out all coal power within its operations by 2030. Markus Witt, responsible for the project at Vattenfall Wärme Berlin AG, said: “In the next few months, we will collect important data to get answers to the question of whether and how this type of plant can be used in our business. The pilot project will see the salt storage pilot project will be developed at the Reuter thermal power plant in Berlin, which has a total storage capacity of 10 megawatt hours(MWh). The plant and project were officially commissioned today and will run until the end of summer 2019. Results will be presented at the end of the year. Harald Bauer, chief executive of SaltX Technology, said: “The energy sector is changing quickly, and we globally see an enormous need for energy storage. “Germany is a country at the forefront of this development and we are proud to have Vattenfall as a partner.